1st and 3rd Wednesday at 6:30 P.M.
Lions are best known for preventing blindness, but members’ volunteer efforts go well beyond the support of vision and hearing care to address health and education needs and provide supplies to victims of natural disasters locally, regionally and around the globe. With over 1.3 million members serving in over 45,000 clubs in over 200 countries, Lions Clubs International is the world's largest service club organization. Join us. Help bring life changing assistance to our communities! Do You Need Vision Assistance? Read on. 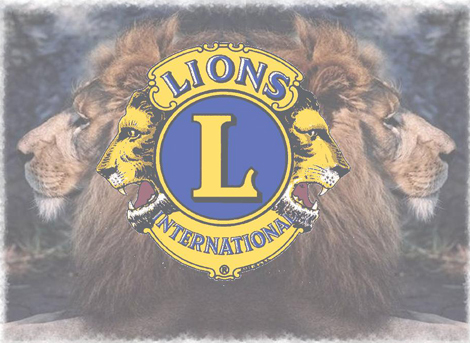 Corvallis area youth and adults that meet Lions financial requirements (proof of income or food stamps) may seek assistance for vision and hearing services from the Corvallis Lions Club. Pick up and complete an application for vision and hearing services from either the Corvallis Community Outreach Drop-In Center at 865 NW Reiman, Corvallis or from the Benton County Health Department at 530 NW 27th Street, Corvallis. Or, download the Assistance Form below, include it with the required income verification documentation and mail to the address on the form and a Lions volunteer will contact you. If you do not live in Corvallis, contact the local Lions Club in your home town. Each Lions club provides services to their local residents. Complete and mail to address on form. Have used glasses or hearing aids to donate? And thank you! Lives are changed with each donation!